One of the areas in which you struggle when building reproduction furniture – and I’m not talking about a full-out reproduction in which you pit-saw the lumber, scrub the surface flat then build the piece – is in trying to determine when to copy the workmanship. I had another decision to make yesterday as I worked on the Egerton tall clock. In the shop, I built the mask for the clock. 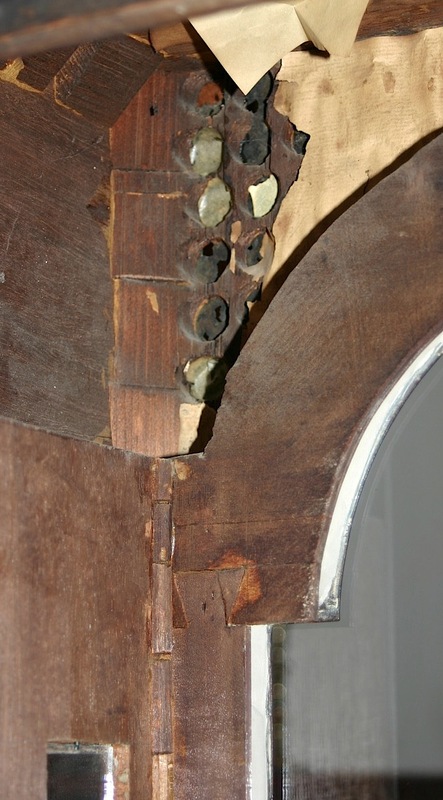 That’s the piece that surrounds the dial and sits directly behind the door. The photo above is of the antique clock. What particularly I wrestled with has to do with the joinery, specifically the dovetail, that joins the stiles to the rails. In the photo you can see how Egerton did the work. And we get to see the results of 200+ years of wear and tear. Should this technique be repeated? I decided to pass, and here’s why. If you study the joint, there is no glue surface whatsoever. The stile fits perpendicular to the rail. 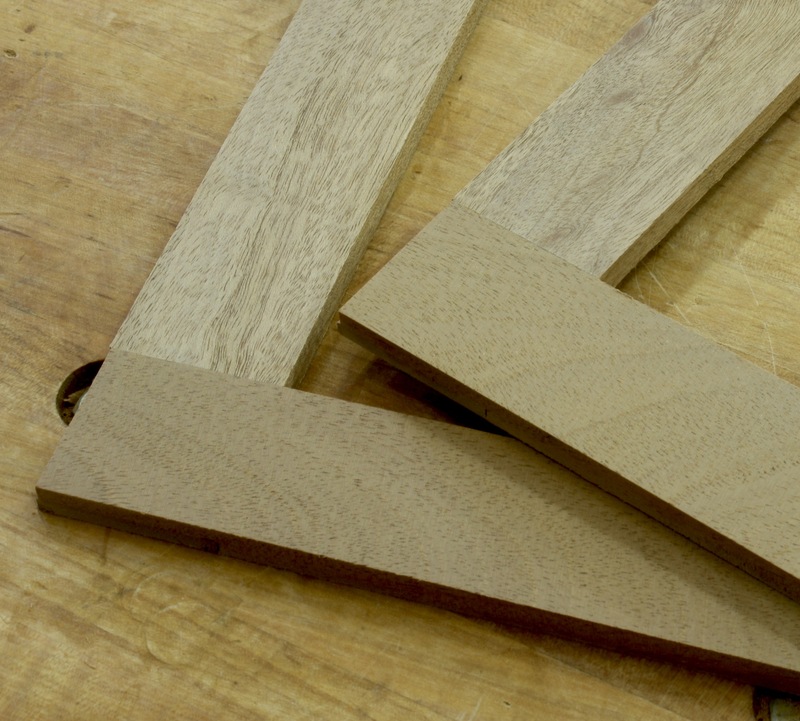 The only flat grain of the dovetail is at the sides. Unfortunately, where that flat grain meets the rail, the rail is end grain. And where the rail is flat grain, it meets the stile which is only end grain. No structural glue surface. Also, a close look at the photo (remember you can enlarge the picture if you click on it) shows a couple of fractures that have been repaired. One last note is that I did try the joint and as you might expect, the rail broke across the grain even with the cut of the tail socket. Given that, I passed on the dovetail joinery. I built the mask using a half-lap joint. 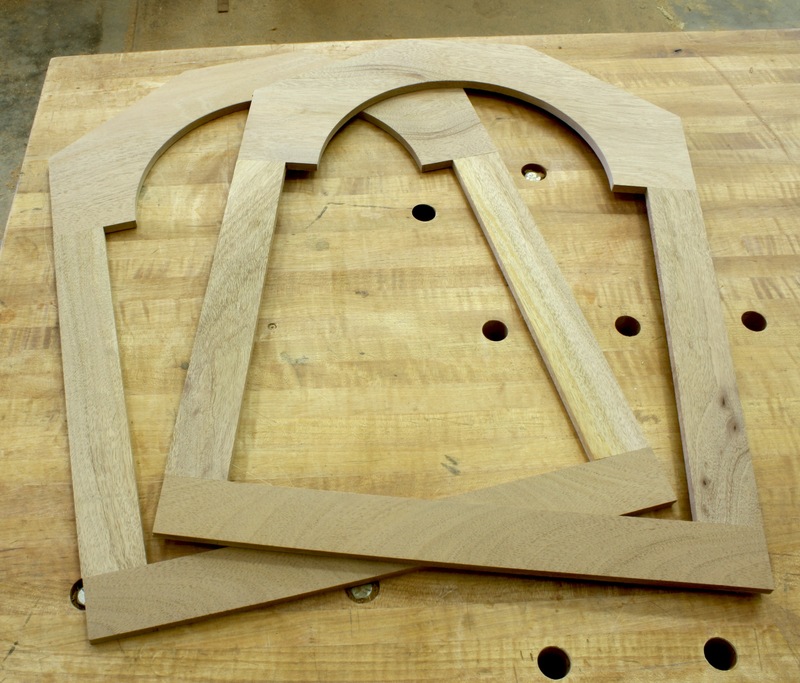 Flat grain glued to flat grain. (Yes it is cross grain, but it is still a strong, lasting joint.) 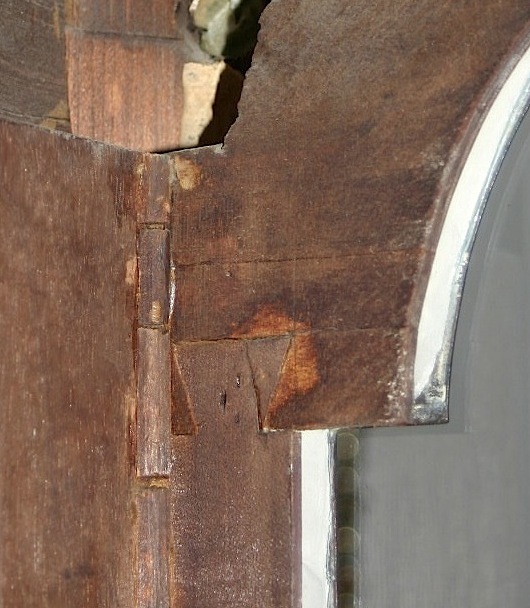 Above is a look at the lower-rail-to-stile joint. Below are the two completed masks. Sometimes the beauty of the older pieces, especially furniture is more to do with its age than anything else.